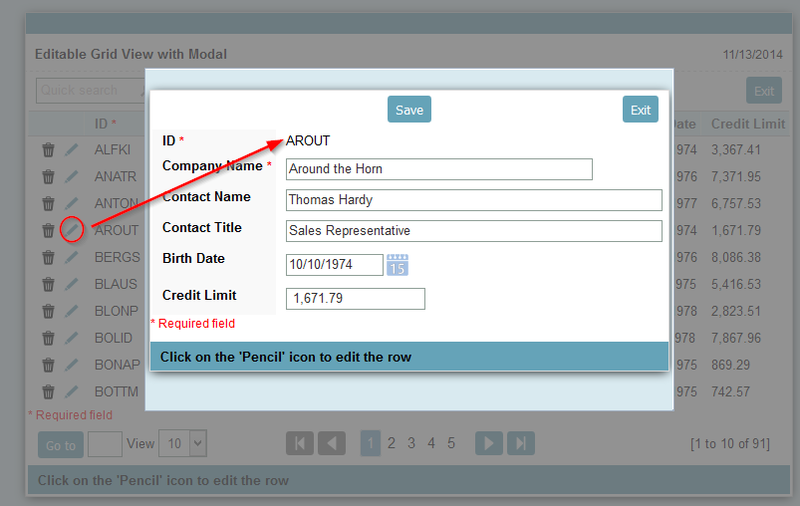 In this example we will see how to configure the application form to display as a Grid with records editing in a Modal window. 1. 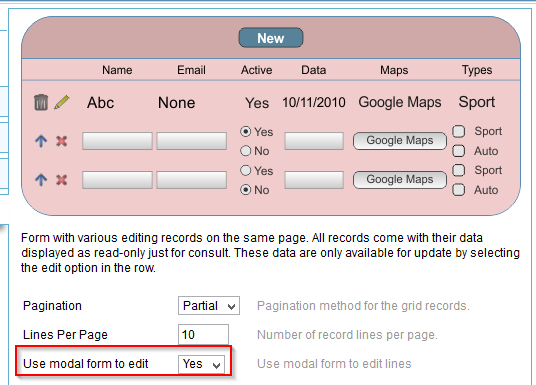 In an application form go to “Form Formats” option in the application menu, and select the type “Editable grid view”. 2. Still on the same screen we change the “Use modal form for editing” to “yes”.